Warmer weather offers the perfect opportunity to get started on a home improvement project. But if you’re anything like us, you probably fear starting something you can’t finish, especially when there are so many summer distractions. Pool parties, vacations, that new season of “Arrested Development”—you name it, there’s a reason you’re not getting a huge project completed in these wonderful, balmy months. But before you give up entirely, know this: There are plenty of projects that can be started—and finished—in the course of a single weekend. Sometimes even in less than a day! That leaves you plenty of time to sit back and admire your handiwork. As you canvass your property for ways to pump up your style, think about small details for your garden, front porch, or lawn. Next, check out the kits available at home improvement stores and garden centers to see if there’s a blueprint that’ll make your building process a bit smoother. Got your toolbox? 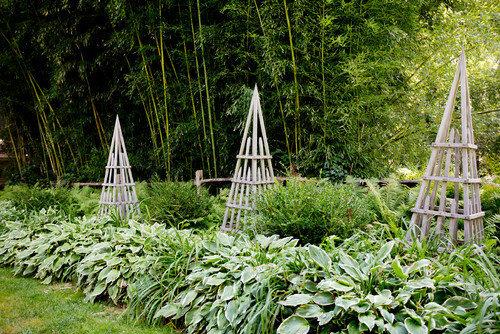 Here are seven great outdoor projects you can accomplish this weekend. Tired of your boring old door but reluctant to entirely replace it? “A front door face-lift requires just a single can of paint and primer,” reports Megan Lewis, a Lowe’s expert. 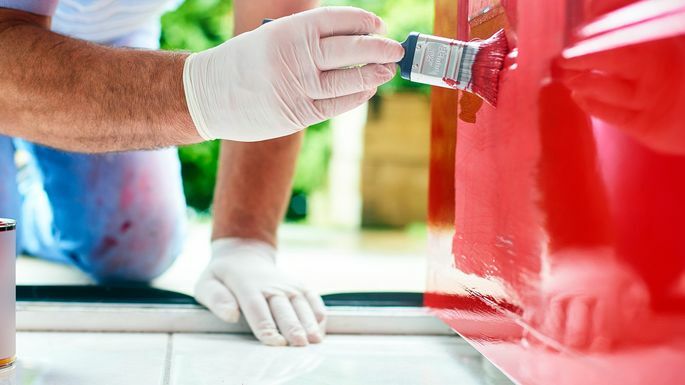 To start, decide whether you want to remove the door to paint, or paint it in place. If you do the latter, you can tape off the edges so paint won’t splatter the frame. No matter what, remove the hardware first. 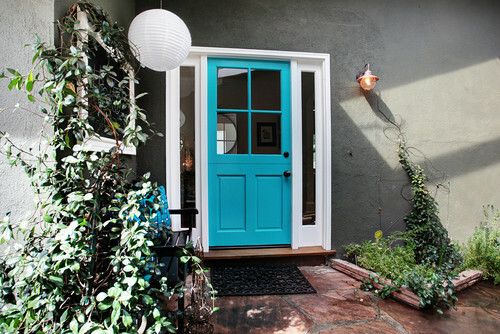 Then match new paint to the type of door you have (wood, metal, etc.) and sand away marks or bumps so the fresh coat adheres. Next, apply a primer and then two coats of paint—be sure to let each coat dry thoroughly. (Depending on the color, you might need a third coat.) Use the angled brush for small nooks and the roller for the panels. 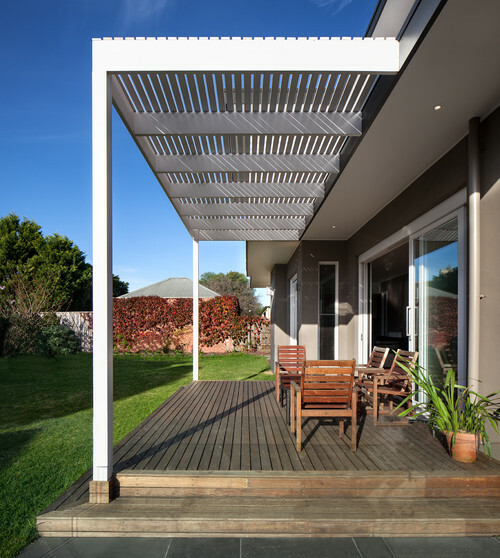 If you want to spice up your garden, just build a budget-friendly pergola or trellis, suggests J.B. Sassano, president of Mr. Handyman. You’ll also be adding visual interest and a pathway for climbing vines and ivies. What’s more, it’s extremely simple. Really, you can do this. To build one: Create four triangular sides by arranging sawn lattice in the desired pattern and attaching the pieces with screws or nails. 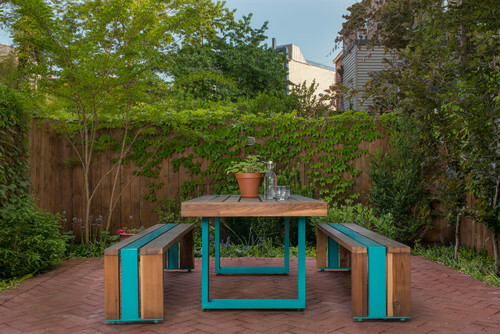 Use wood stain or outdoor paint to finish the look. Can’t get the green to grow? Lewis suggests wrapping a pergola or arbor with lights, ribbon, or streamers for special occasions. Freshen your outdoor table for hot dog season with new stain. Scrub the wood, and allow it to dry thoroughly. Sand as needed, removing the residue with a rag. Stain the underside of the table first, and let it dry for two hours or so. Then flip it over and stain the top. Tame that chaos in the garage with a simple board to house all of your necessary gadgets, instruments, and devices. 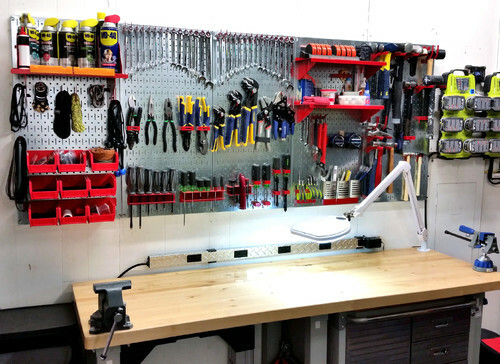 Measure the space and consider the number of tools you want to store (you can lay them out to gauge how they’ll look on the wall). Cut the pegboard to fit, and attach it with screws to exposed studs on the wall (or attach a frame of furring strips to the board so you can mount it on a finished wall). Insert hooks, and hang up your tools. You can’t beat fresh basil for your pasta dishes and mint with your juleps. Locate a spot on your deck or patio that gets at least six hours of sun a day. 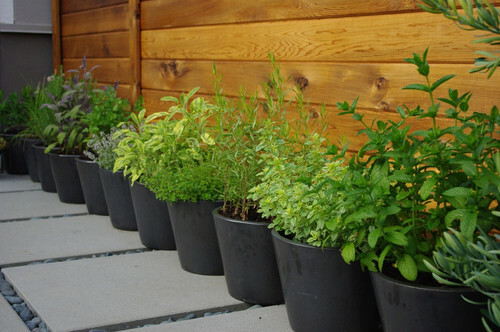 Fill planters most of the way with soil, and then loosen herb plants from their containers. Dig small holes to accommodate each plant, and then gently cover the base with more soil. Tamp the dirt down a bit, and water generously. “Decks can be unsafe if you have loose, soft, or cracked wood, so check for rot by pushing the end of a screwdriver into each board,” Sassano says. If the point goes in easily, the piece needs replacing. Before removing the old wood, though, measure it so you know the dimensions for your new pieces. Remove screws with the drill/driver, or nails with the puller, and then mark new boards for cutting with the saw. Lay new decking pieces in place, and attach with screws or nails to the joist below. 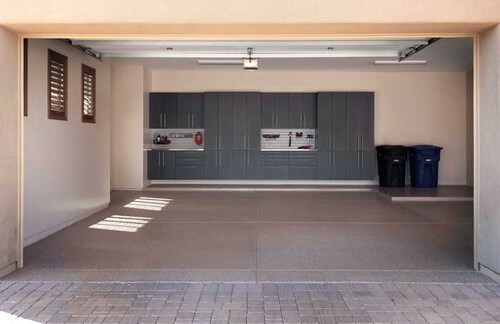 Clean up the look of your garage floor with a chemical-resistant epoxy coating, which comes in multiple colors, suggests Dan Schaeffer, owner of Five Star Painting, in Austin, TX. Start by applying the concrete cleaner as directed, fill any cracks with epoxy paste and sand away excess when it’s dry. Paint on the sealant, which acts as a primer, and allow it to dry all day. Paint a layer of epoxy coating, let it dry overnight, and then apply a second coat. Down Payment Dilemma: How Do You Know How Much To Put Down On A Home?